When it comes to strength training, stress can be something of a double-edged sword. We need stress to grow physically. For example, every time we pick up a weight, we’re producing a calculated stress on the body that will, in return, facilitate muscular growth. We do this because we know we’re getting a return on our investment, in that our body will come back stronger and build upon the stress we placed upon it. On top of Merriam Webster’s formal definitions we’ll often find that everyone has their own definition of what stress is. This is due to everyone having varied levels of adaptability and thresholds. It’s an inevitable attribute that separates athletes from each other. For example, think of athletes who perform great under pressure. They’re most likely better equipped to handle mental stress. Daily mental stress can be caused by multiple factors, which can include things like our job, kids, financial standing, relationships, and many more. The hormone commonly linked to and increased with stress is called cortisol. This hormone plays a role in multiple bodily processes such as nervous system/metabolism regulation, anti-inflammatory properties, immune health, and others. In natural regulated amounts, this hormone can actually be a good thing for the body, as it helps regulate some of our daily systems. For example, it helps us naturally wake up in the morning. Our natural cortisol production is highest in the morning and tapers as our days proceed. The issue with cortisol comes about when we encounter stress throughout our day. Too much and too little can impact the body in a negative way. Daily stress – whether acute or chronic – will create a spike or elevation in our cortisol levels. The spikes we encounter are situational, so it comes down to how our body handles and adapts to stress placed upon it. This is when an influx of cortisol production brought on by stress can impact muscular gains and strength. A study from 2014 focused on the effect of stress and strength in an older demographic by utilizing a grip strength test (grip strength is often correlated to other muscular group’s strength). They found that higher stress levels correlated with catabolic properties in skeletal muscle. In this case, a decrease in muscle protein synthesis, which is the opposite of muscle growth. In addition to impacting our strength levels, stress also impacts our body composition (with weight gain/loss). As strength athletes, weight becomes increasingly more important, especially when competing in weight classes. A paper from 2005, titled Stress and Metabolism, analyzed how repeated bouts of stress impact healthy and obese populations. They found that frequent stress increases sympathetic nervous system responses, increased cortisol, and epinephrine secretion (adrenaline). These frequent responses from stress can impact weight gain and loss due to insulin resistance (increase in blood sugar). Another factor and possibly one of the most influentially negative in terms of our muscles and stress has to do with the hormones cortisol suppresses. When we experience high amounts of stress, then we’re decreasing anabolic hormones like our natural growth hormone, insulin like growth factor, and testosterone. As we know, these are the hormones we aim to increase with lifting. These improve our fitness, strength, and all around physical health by improving our tenacity in the gym. Most stress reducing techniques take time and practice, but there are a few things you can in the moment to reduce stress. Breath Counting: This entails counting your inhalation, holding of the breath, and exhalation to regulate your nervous system’s excitement. If you’re feeling stressed, then try inhaling for 3-seconds, holding your breath for 3-seconds, and exhaling for 4-seconds. At the onset of negative emotion, utilize this technique for 5-rounds. Mental Notes: This method is a little more personal, but I find it often works when I’m feeling daily stresses. Find one or two thoughts that make you happy. These could be a person, something you’re looking forward to, or a positive memory. Whenever I feel extremely stressed, I’ll close my eyes and pick one of my positive thoughts. Overtime this has produced an instinctual positive reaction whenever I feel an onset of stress. My mind is now in the habit of combatting stress with positive aspects of my life. The below methods will help you manage daily stress, which can produce better results in the gym. If you actively work to lower your daily stress levels, then you’ll be more likely to improve mentally and physically for the gym. Less stress will directly and indirectly equate to higher levels of energy and natural anabolic hormones. As cliche as it sounds, tactics like meditation, breathing techniques, and yoga will help you manage daily stress levels. Meditation and yoga are both excellent at helping to calm and center your focus on the body with the sole purpose to help you relax. Consider meditation and calculated breathing as your mental yoga. Meditation: To begin, try introducing meditation tactics at the right times of day. For example, try doing so before bed and work to focus solely on your breathing for 5 minutes. Once you clear your mind of competing thoughts, then you’ll help the body relax and avoid thinking about daily stresses. Plus, you’re already in bed, which makes this method easy with no additional work on your part. Breathing: Try Alternate Nostril Breathing. This is simple, effective, and takes 5-10 minutes of your day, plus breathing tactics have been shown to calm/improve nervous system function. Sit, relax, and close your eyes. Bring your dominate hand to your face and place your pointer/index fingers on the bridge of the nose in-between your eyebrows. Your thumb and ring finger will then fall on your nose. You’ll begin by pressing your thumb down on one side (right side for right hands, left side for left hands) and slowly exhaling through the opposing side. Upon exhalation, begin by slowly inhaling through the same side of exhalation, and breathe out of the previously closed side. Repeat this for as many rounds as you see fit – breathing in through one nostril, and out the other. The previously linked study used 5 and 10-minute increments to see improvements. Yoga: Far too often athletes could utilize yoga for its calming and mobilizing benefits, but neglect to do so. If you’re timid to actually take a class, then check out our article on the best yoga poses for weightlifting athletes. You can choose to flow through these with the tempo and stretch selection you see most appealing. Sleep is fundamental to recovery, hormone regulation, and even promoting better stress levels. It’s generally understood that 6-8 hours is what athletes require, but many have a hard time doing so. On the flip side, you can also try using daily supplements to promote better stress levels. Sleep: Most experts agree that 7-9 hours of sleep a night is an adequate amount for athletes. It’s important to try and keep your sleep/wake schedule consistent, as this will help your body adapt to a sleeping pattern. This pattern can help improve your deep sleep cycles and natural cortisol productions. If you’re waking up at sporadic times, then cortisol production will be inconsistent, which can have an impact on stress levels, workouts, and energy levels. If you find yourself struggling to finding deep sleep – check out our five tips for restful sleep. 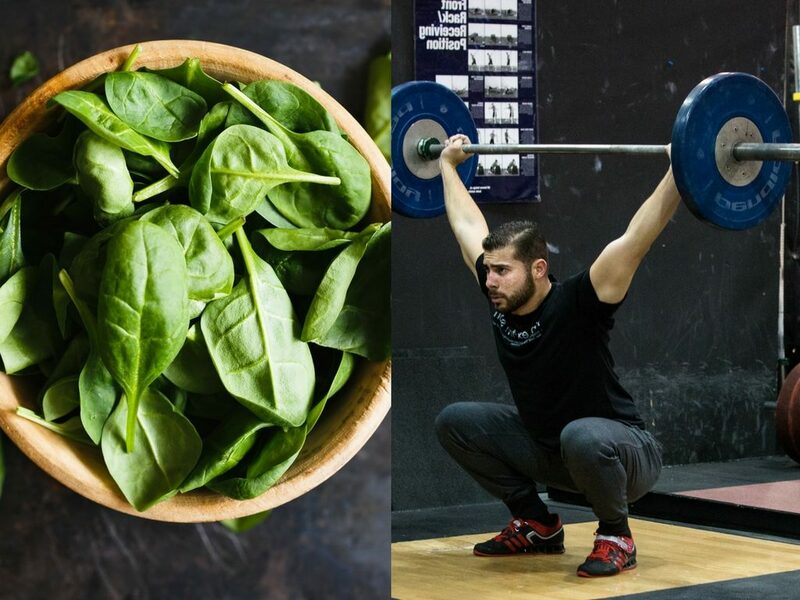 Magnesium: Magnesium, the infamous mineral that many athletes are actually deficient in. This mineral improves sleep quality, stress levels, blood pressure, and it even relaxes the muscles within the digestive tract. Theanine: Theanine is a naturally occurring amino acid that produces similar effects of magnesium, but without a sedative side effects. Zinc: Zinc is a mineral that plays a role in our immune system health and natural testosterone production. Both of these factors can be suppressed and decreased with increased stress levels. Also, ZMA supplements have been noted to help support relaxation and sleep. Daily stress is an inevitable part of our lives and some can be beneficial to our mental and physical tenacity. Yet too much stress can be counterproductive for in-gym performance. The above steps are easy and everyone can do them to promote healthy stress levels. What’s most important is that you find which methods work best for you.